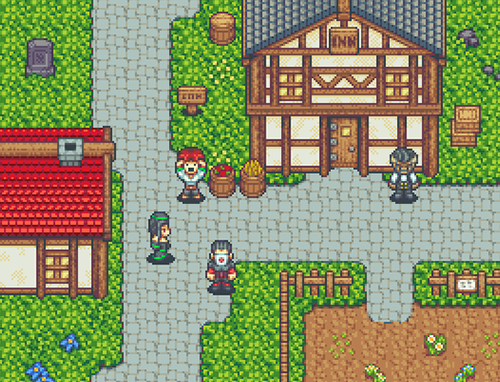 Your completely free and fully featured 2D MMORPG Maker. Design with friends, and share your game with the world. You're here because you're thinking of creating an MMORPG, and we're here to help you make that happen. Intersect is cross platform compatible, completely free, soon to be open source, has very relaxed licensing, and available to download right now! If you're not already sold then scroll down. You'll find recent news & engine updates, features, game development resources, featured games, getting started guides, and more! We'll never stop updating this engine. New features, bug fixes, and performance boosts, and releases are documented below! Automatic Port Forwarding? That's a new one! Dynamic UI is game changing as well! 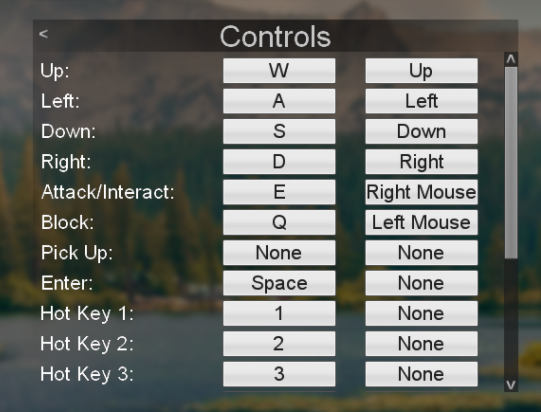 Multiple characters per account, setting your own controls, credits, and more! 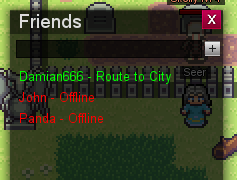 Intersect now features a friends list and new chatbox commands! 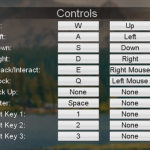 The editor has a complete dark ui! Intersect can now be translated for other languages too! Intersect has so much to offer, but the basics are below. You can find a full list of features here. Conquer together! 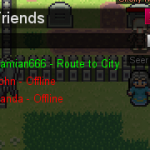 Parties, Trading, PvP, Friends System, Chat Channels, and more provide a wholesome multiplayer experience. Players can quite literally work with or against each other to reshape the world around them! Crafting, trading, resource gathering, bank, shop, questing and real time action battles (abs) are included within Intersect! 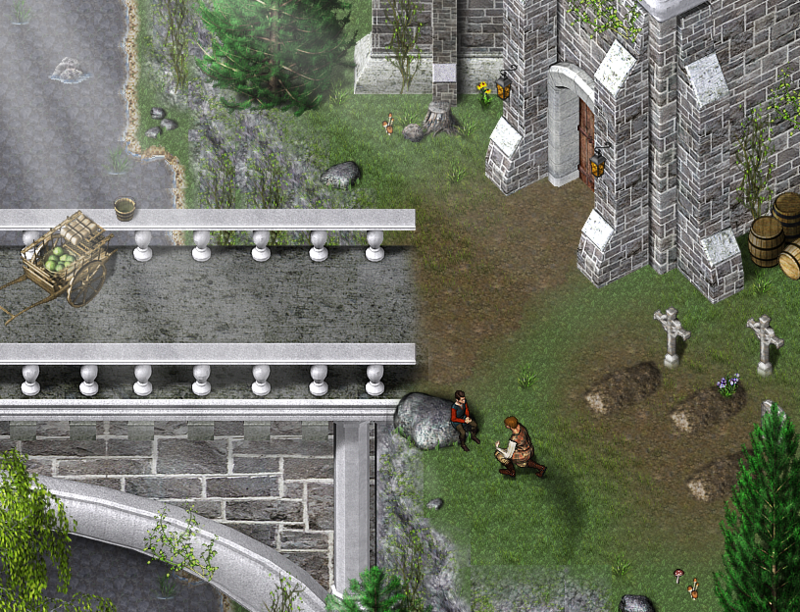 Each and every type RPG from dungeon crawlers to agricultural simulators are within reach! Use your own graphics, redesign the engines user interface, translate your game for different demographics, change colors, text, phrases, hide/remove windows and features you don't want, even modify combat formulas without touching a line of code! Dynamic lighting, positional sounds effects, custom dialogue chains, and more add several layers of depth to your game. The choices your players make can quite literally re-sculpt the world around them. Let us show you how! We focused on designers to provide the best development experience possible. 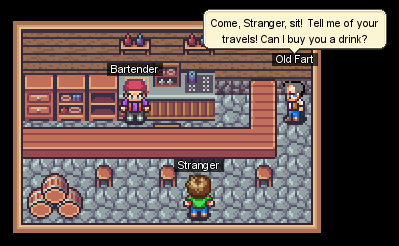 Creating games should be simple, fun, and rewarding. Click here to learn about our mapping enhancements, automatic port forwarding and more! Such as cross platform deployment! Design your games in Windows. Afterwards you can host and play your games on Windows, Linux, and Mac OSX devices. More platforms possible in the future! Here are a few sets of graphics, sounds, ui elements, and more that we think work well in Intersect games. We'll make sure to share everything we find! We love featuring Intersect games created by members of our community, here are a few that really stand out! Tired of reading? 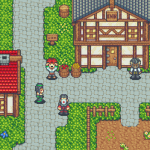 Why not start creating your free mmorpg today? Below are links and resources to help you get started. Make sure to join our support community and say hello! We look forward to seeing what you create! Start designing your game in 5 minutes or less. This guide will help you download Intersect, create an administrator account, and access the developer suite. Don't like to follow instructions, no problem! Skip straight to the download. If you do need help or support our getting started guide will always be available. We're constantly updating and improving our documentation. Our docs and faqs should be able to answer most questions you have about our engine. Ascension Game Dev is the official home of Intersect. Join the AGD support forums to collaborate with your game dev peers!